Ms. Gallion is a senior lawyer who both litigates and provides support to management via thoughtful leadership on workplace regulatory issues, equal employment opportunity policy, compliance, and strategic initiatives. She has over 35 years of experience representing diverse employers from colleges and universities to businesses in the healthcare, hospitality, and telecommunications industries. She has managed literally thousands of equal employment opportunity challenges and hundreds of discrimination, whistleblower, and retaliation cases in state and federal court, having tried more than forty successful jury trials in federal courts. She is a noted national speaker on legal and business topics, including leadership effectiveness, management excellence, and compliance with labor and employment requirements. She is the author of over 100 webinar presentations on various employment and workplace topics and is an experienced investigator of Title VII workplace and Title IX higher education claims. After law school, Ms. Gallion started practicing law in New Orleans, Louisiana in 1982. She then relocated to Florida where she worked with national firms including Baker & Hostetler, Jackson Lewis, and since 2000, Fisher Phillips, where she was the founding partner of both its Orlando and Tampa offices. 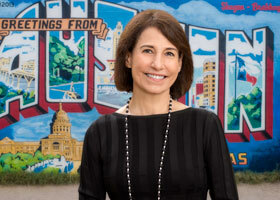 In 2018, she relocated to Texas and became a partner in Cornell Smith Mierl Brutocao Burton. Ms. Gallion has been listed by Chambers USA as one of America’s Leading Business Lawyers continuously since 2004. She has been included in The Best Lawyers in America© by Woodward/White, Inc. since 2006 in the categories of Employment Law-Management/Litigation-Labor & Employment. From 2007 through 2018, she was included in the category of Employment & Labor in the Florida Super Lawyers list published in Super Lawyers Magazine. Ms. Gallion is “AV” Peer Review Rated by Martindale-Hubbell.